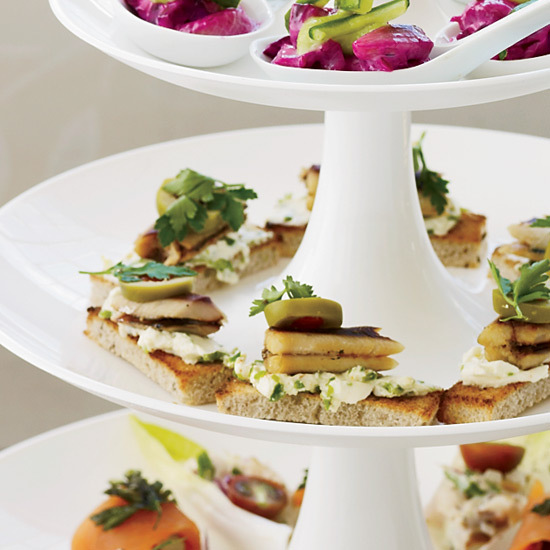 Terrific recipes for the Christmas Eve feast, from tuna and red pepper mousse toasts to smoked-trout salad with avocado and grapefruit. 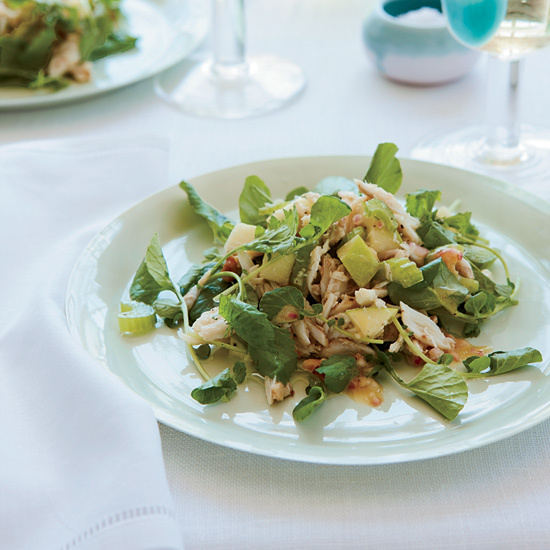 Sweet-tasting lump crab is sold precooked, so it's perfect for a fast meal. 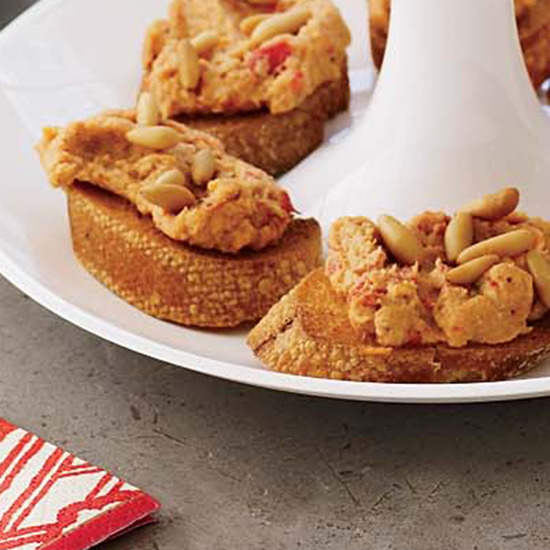 Melissa Rubel uses it here in a crunchy salad that gets a double dose of nutty flavor from walnuts and walnut oil. Before serving, garnish with toasted sesame seeds. 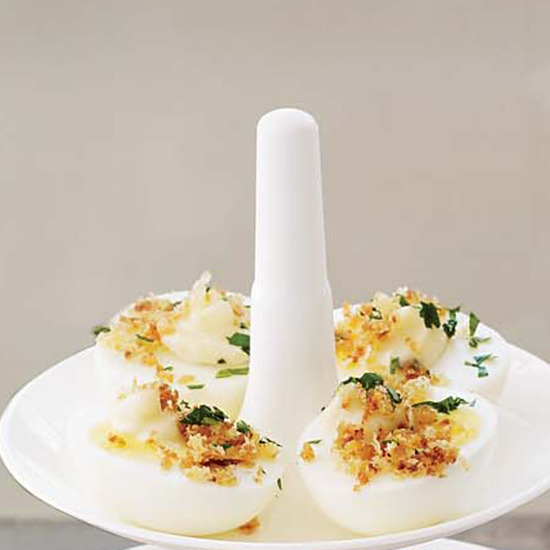 The hard-cooked eggs and anchovy mayonnaise can be refrigerated separately overnight. 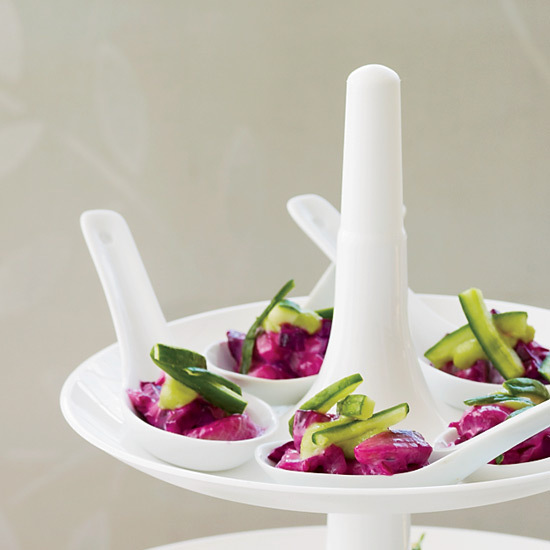 Toss this colorful salad with mayonnaise for a nice, flavorful coating. This elegant (and sufficiently spicy) recipe calls for hot paprika and parsley. 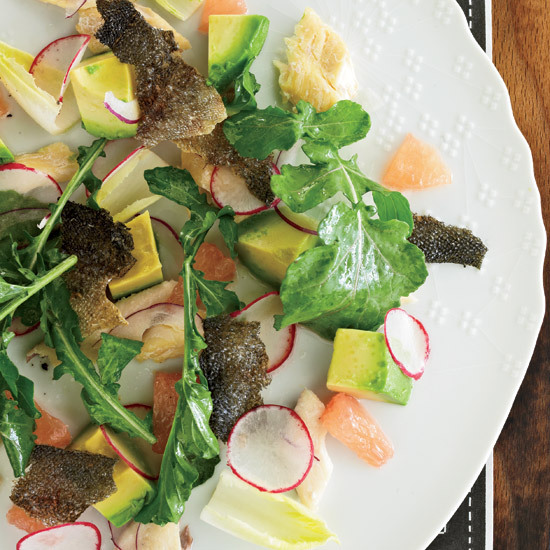 When presenting their lemony smoked-fish salad, co-chefs Jon Shook and Vinny Dotolo spread out the colorful ingredients—avocados, grapefruit, radishes, arugula and chunks of smoked trout—on plates. 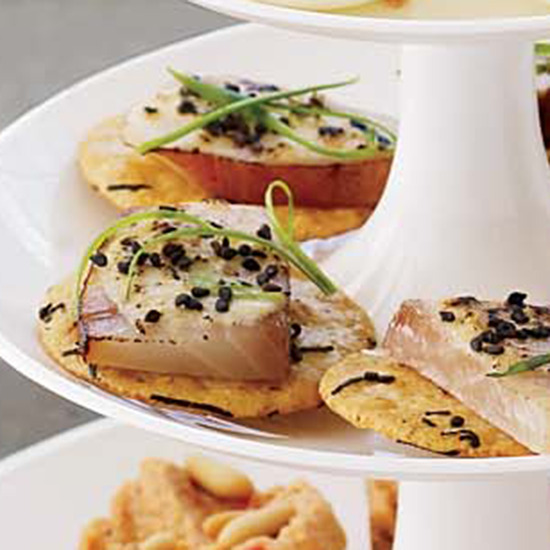 For a garnish, the pair ingeniously bake the smoked-trout skin until it's crisp, then break it up into shards.